Bipedal locomotion (walking upright) only for humans? These guys beg to differ! 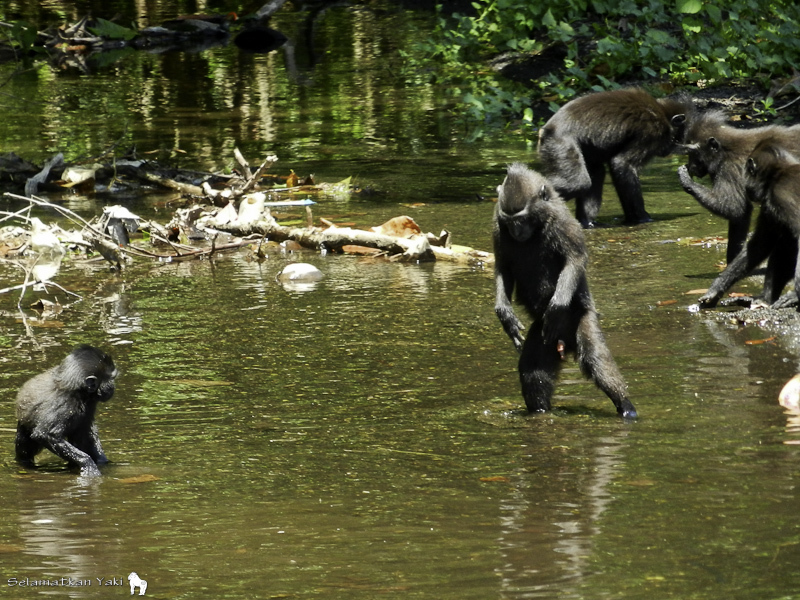 These pics show some of the happy yaki youngsters splashing in the river in Tangkoko last weekend, learning off their siblings and peers through play. I will never tire of watching these guys…. Look at how tall I am! !